There are plenty of ways to edit documents on the road. Between an outright laptop and several mobile apps that can do the job, it likely won’t surprise that there’s one more way to do so from the folks at Smart Office 2. Smart Office 2 works with both Dropbox and Google Docs to ensure that documents can be easily routed to where they need to be, regardless of the current location of those who need the documents. What’s more, there’s also a printer interface system, which allows printers from 34 different manufacturers to work, wirelessly, with documents created or modified in Smart Office. 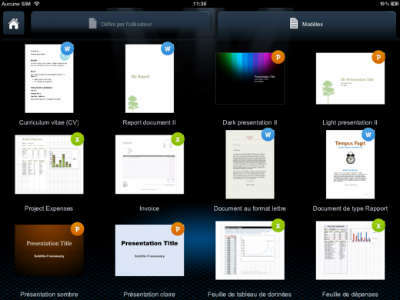 Users can not only view the documents, but also edit them in a standard environment that looks at least a little like Microsoft Office itself, and the environment can adapt to fit the situation, knowing if you’re working from a tablet or a smartphone. Plus, there’s even a set of templates that allows for the best kind of document for any given situation. 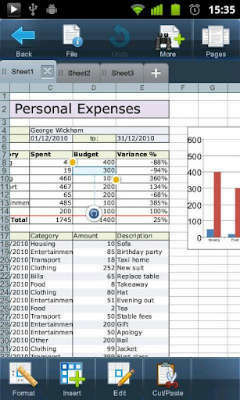 The really good thing about Smart Office 2 is that it’s both incredibly versatile and a terrific value. Not only is Smart Office 2 covering the waterfront when it comes to the overall field of documents–this is handling text, PDF conversion, spreadsheets and plenty of others in a variety of different view styles–but it’s also doing so from your choice of a variety of devices. This allows for maximum flexibility in terms of what can be done on devices. However, there’s one significant down side in that it really doesn’t do a whole lot that you can’t already do from devices that you probably already have. Sure, if you’re looking to start doing all your paperwork from a tablet, then something like Smart Office 2 would probably be a very good idea. But if you’ve already got a laptop and twenty minutes to spare downloading OpenOffice at no charge, then you absolutely do not need Smart Office 2, or Smart Office 2’s accompanying $10 bill. But still, for those who are looking to take their act on the road, and don’t want to go the laptop route, then Smart Office 2 is going to be a solid–if not perfect–entry to consider.